Platinum group metals (PGMs), namely, platinum, palladium, rhodium, iridium, ruthenium and osmium, are undergoing a period of market flux and in some cases, steep and rising prices, according to a new report published by Thintri, Inc. Platinum group metals (PGMs), namely, platinum, palladium, rhodium, iridium, ruthenium and osmium, are undergoing a period of market flux and in some cases, steep and rising prices, according to a new report published by Thintri, Inc. (www.thintri.com). The report, "Platinum Group Metals: Issues and Opportunities," is a 2018 update of an earlier Thintri study. The report discusses the sourcing, production, applications and markets for PGM and opportunities in improved recycling and recovery as well as emerging alternative materials. Industry analyses indicate that known PGM reserves are probably sufficient for more than another 100 years at present rates of production and consumption. However, that figure drops to 10 - 15 years if rising demand, particularly from growing industrialization and automobile sales in emerging economies, is taken into account. Before PGM reserves are fully depleted, however, prices will rise dramatically as extraction becomes more difficult. Other new methods will eventually, in effect, bring new supplies to market through improved recovery. New techniques for recycling catalytic converters and similar products are able to recover far more PGM content than was possible earlier. In addition, once-inaccessible PGM content in copper and nickel mine waste and slag can now be exploited. The availability of literally mountains of mine waste and slag throughout western North America and other parts of the world will soon set off a "gold rush" to exploit those resources. The Thintri market study, "Platinum Group Metals: Issues and Opportunities," analyzes PGM markets and provides forecasts out to 2022. 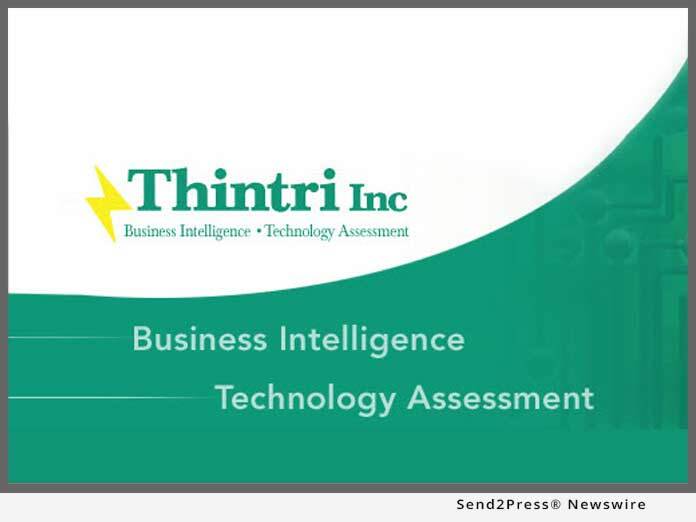 Thintri's services include business intelligence, market research, technology transfer and technology assessment, and in-depth, off-the-shelf market studies on promising emerging technologies. Topics of focus have included medical and industrial imaging, optical networks, materials and coatings, semiconductor devices, manufacturing, industrial logistics, security, thermal management, energy, and a host of others.